Read GKFX forex broker review, rating and detail information for their services below. Read the review and the detail information of GKFX forex broker. GKFX founded in 2009 as GKFX Financial Services Ltd. It based in London, UK. GKFX has also branch offices in Beijing, Bratislava, Brno, Cairo, Dubai, Frankfurt, Hong Kong, Jakarta, Johannesburg, Madrid, Milan, Paris, Prague, Shanghai and Warsaw. The broker offers trading services on a wide selection of products such as FX, CFDs, Commodities, Equities and Indices, as well as spread betting (for UK residents). GKFX also official sponsor of Italian football club AC Milan. GKFX is regulated by the Financial Conduct Authority (FCA). Furthermore it is regulated by below regulatory boards. GKFX won the following awards for its product offerings and services. GKFX provides MetaTrader 4 platform developed by MetaQuotes Software to its clients for an efficient and reliable trading experience. They also provide Mobile trading app onto the smartphone. The app is free and can be downloaded from Google PlayStore and Apple App Store. Premium MYFX console also available with GKFX. This is a advance control over MT4. Traders can have this service with subcribtion basis. MetaTrader 4 is also available on Mac. GKFX also provides spread betting benefits for their traders. GKFX Web Trader platform is available for web trading without install any software. This platform is based on Adobe flash and has customized trading suite. Like other online Forex brokers, GKFX doesn’t have any commissions or service fee. The spreads at GKFX are in the form of fixed and floating spreads. There is no maximum deposits for the Standard account and no maximum number of open trades. The minimum spread starts for EUR/USD from 1.5 pips for GKFX Micro account. For VIP account spreads are starting from 0.6 pips. GKFX has leverage is up to 400. GKFX Supports bank transfers, credit cards and the Moneybookers e-wallet for deposits and withdrawal. Withdrawals are also imitated through the same methods used for depositing the funds. Minimum withdrawal amount for all account by bank transfer is $100. GKFX is having a promotion where you will receive upto 40% deposit bonus. Customer support at GKFX is available 24/5. Hence there are several ways which you can get in touch with the support team such as email, live chat or the telephone. You also have the benefit of multi-lingual support over 30 languages. VPS for traders Reduced commission. Individual terms of funding and withdrawal of funds. GKFX is comparatively new but strongly regulated forex broker. Their MetaTrader 4 (MT4) platform is available for spread betting along with forex and CFDs trading. They also tie up with Trading Central for their daily technical analysis. 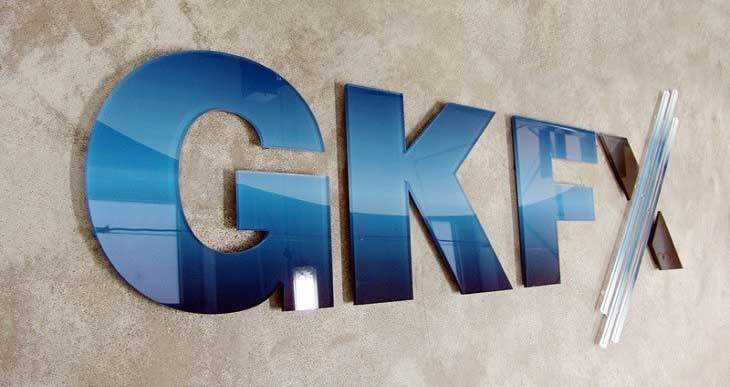 GKFX currently has more than 400 employees in more than 25 offices and operation centers around the world. GKFX is a reliable Broker. I´ve got a bonus account since more than 3 months. I have completed their short course, passed their test and after sending my proof of Id documents, the bonus was credited to my account. They sent me a withdrawal code by postal, not by email shows their concern about their client’s money and want it to be secure without hacking the account by unauthorized people. They are really caring and supporting their clients and we have to appreciate their value and consistency.